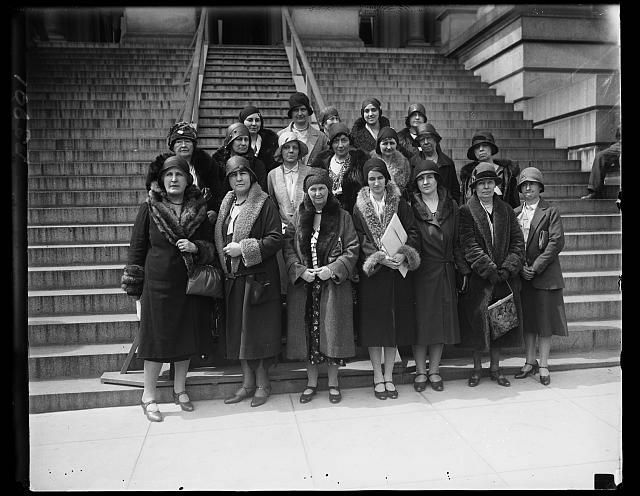 National Association Women Lawyers, asking for United States Plenipotentiaries to the Hague to vote for a World Code of equality between men and women, Harris & Ewing Collection, Library of Congress Prints and Photographs Collection. "Women in war. Agricultural workers. With the nation's manpower swelling the ranks of the armed forces, women must step into many new occupations in both urban and rural life. These women harvest hands in Rochelle, Illinois, are helping the national welfare by picking the summer asparagus crop." Photo by Ann Rosener, Sept 1942. 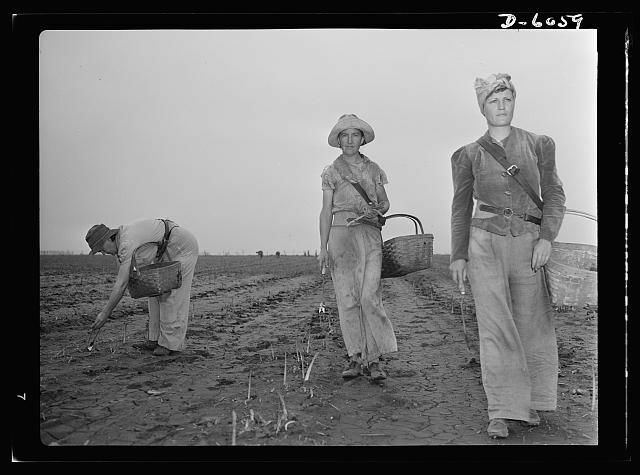 Farm Security Administration - Office of War Information Photograph Collection. Library of Congress Prints and Photographs Division. Celebrating Women's History Month (March) with resources and items from the Library of Congress collections. By the eve of the Civil War slavery had become a very controversial topic, primarily between the Northern and Southern United States. Northerners and Southerners had developed very different views toward the issue of slavery. Northerners saw the institution as an evil, whereas Southerners defended as a good. Each side had theories and reasons to justify their viewpoints. These theories can be categorized in three main groups, moral justification, environmental justification, and economical justification. Northerners argued that the treatment of slaves was harsh and cruel, however Southerners argued that the treatment of slaves were far better than the treatment of factory workers. The economy of the South was also another large issue as the backbone of Southern economy lay on the shoulders of slave labor. Abolishing slavery would undoubtedly lead to the collapse of the Southern economy. Unfortunately, the excessive use of slave and harvesting of cotton greatly affected the environment. As a result many farmers kept moving West in search of more fertile land. Tensions about the institution of slavery between the North and South would continue to grow until threatening the unity of the nation itself in the United States Civil War.